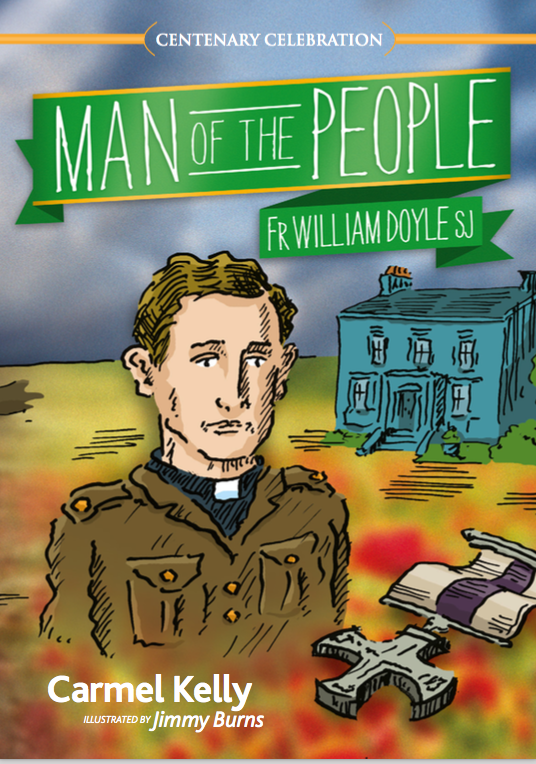 In the lead up to the anniversary of Fr Doyle’s death on August 16, we shall recount some of the events of those last days on the anniversary of their occurrence. If we have a record of these events they will mostly replace the regular thoughts for each day. But before we get to the actual account of the homily, there is a bit of a dispute in the sources about when this homily actually took place. The edition of O’Rahilly I have (1922) states that it took place 93 years ago today, on July 21. 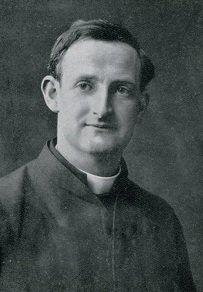 However, Merry in God, written anonymously (although I suspect it was actually written by Fr Doyle’s brother, Fr Charles Doyle SJ) gives the date as being slightly earlier, on July 15. On balance, the earlier date is probably correct, since the 15th was a Sunday in that year while the 21st was a Saturday, and O’Rahilly is clearly incorrect in stating that it was a Sunday. If anyone has a later edition of O’Rahilly (there were several subsequent editions) I would be interested to know if he corrected this date. In any event, the date is not of primary importance. “I arrived at the Cathedral about 11o’clock (says Fr. 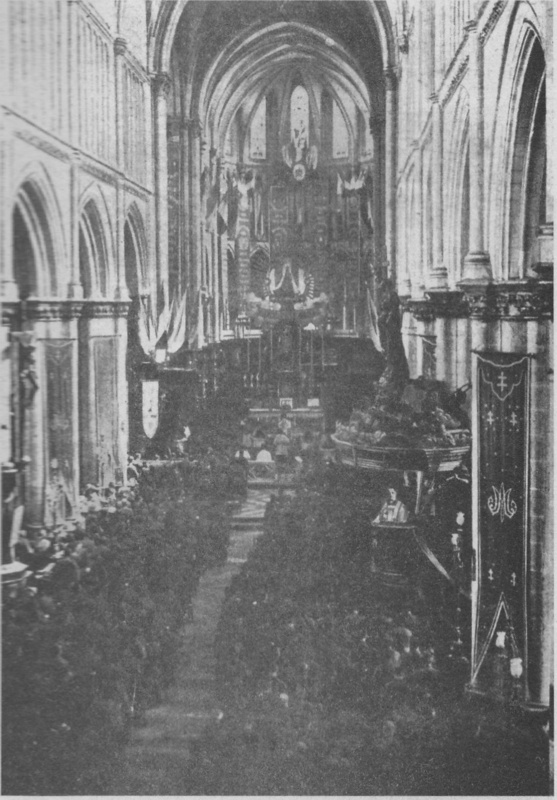 Browne), and was in despair to find that the Pontifical High Mass was not yet finished. Our people are so punctual and the French so regardless of time-tables that I was sure there would be confusion and delay when our 2,000 Catholics would begin to arrive. But it was not to be. Quietly and wonderfully quickly the Mass ended, and the people went out to watch the Bishop go back in procession to his house close by. I was relieved to see that neither he nor any of the priests unvested. Then Fr. Doyle and I had to try to clear away the hundred or so people who remained and the other hundred or so people who came wandering in for the last Mass which for the day was to be ours. “Make room, please, for the soldiers who are coming” I went round saying to everyone. 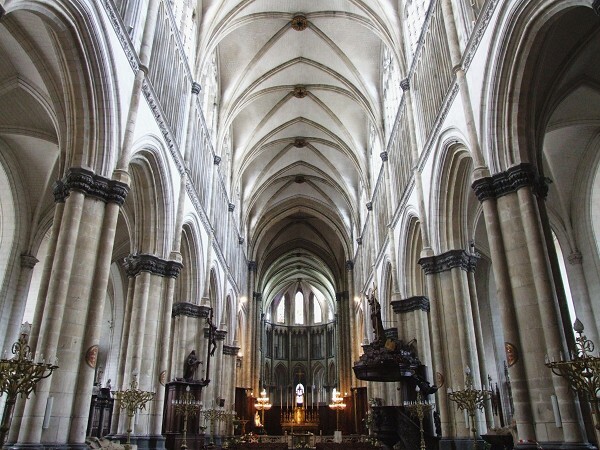 They moved from the great aisle and got into the side-chapels, leaving the transepts and aisles free. Many refused to do this when with pious exaggeration I said, About 3,000 Irish soldiers are just coming. And lo ! they were coming. Through all the various doors they came, the 9th Dubs, marching in by the great western door, the 8th Dubs, through the beautiful southern door, through which St. Louis was the first to pass just 700 years ago, the 2nd Dubs, coming into the northern aisle and making their way up to the northern transept. Rank after rank the men poured in until the vast nave was one solid mass of khaki with the red caps of General Hickie and his staff and the Brigadiers in front. Then up the long nave at a quick clanking march came the Guard of Honour. Every button of its men, every badge, shone and shone again; their belts were scrubbed till not even the strictest inspection could reveal the slightest stain, and their fixed bayonets only wanted the sun to show how they could flash. Up they came, and with magnificent precision took their places on either side of the altar. I was just leaving the sacristy to begin Mass when I saw the Bishop’s procession arriving. He had promised to come only after the sermon, but here he was at the beginning of the ceremony, making everything complete. Of course, I saw nothing, being engaged in saying Mass, but those who did said it was a wonderful sight. The beautiful altar, standing at the crossing of the transepts and backed by the long arches of the apse and choir, was for the feast surrounded by a lofty throne bearing the statue of our Lady of Miracles. The sides were banked up high with palms; then the Guard of Honour standing rigidly in two lines on either side; lastly the Bishop in his beautiful purple robes on his throne. From the pulpit Fr. Doyle directed the singing of the hymns, and then, after the Gospel, he preached. I knew he could preach, but I had hardly expected that anyone could speak as he spoke then. First of all he referred to the Bishop’s coming, and very, very tactfully spoke of the terrible circumstances of the time. Next he went on to speak of our Lady and the Shrine to which we had come. Gradually the story was unfolded; he spoke wonderfully of the coming of the Old Irish Brigade in their wanderings over the Low Countries. 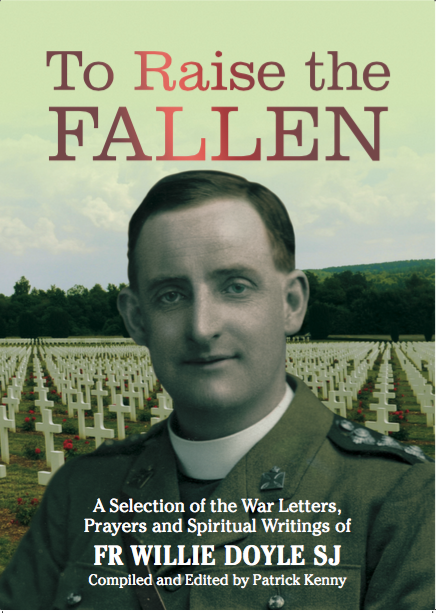 It was here that he touched daringly, but ever so cleverly, on Ireland’s part in the war. Fighting for Ireland and not fighting for Ireland, or rather fighting for Ireland through another. 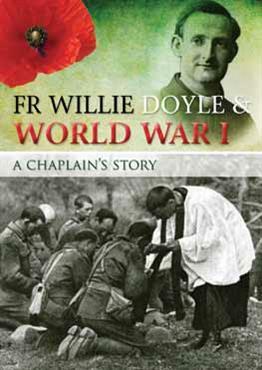 Then he passed on to Daniel O Connell’s time as a schoolboy at St. Omer and his visit to the Shrine. It certainly was very eloquent. Everyone spoke most highly of it afterwards, the men particularly, they were delighted. 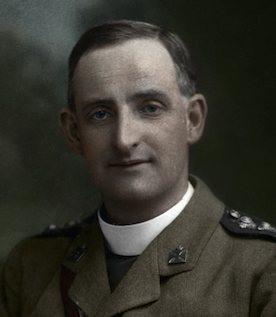 At the end of the Mass the Bishop in a neat little speech thanked the men for the great honour they had paid him. 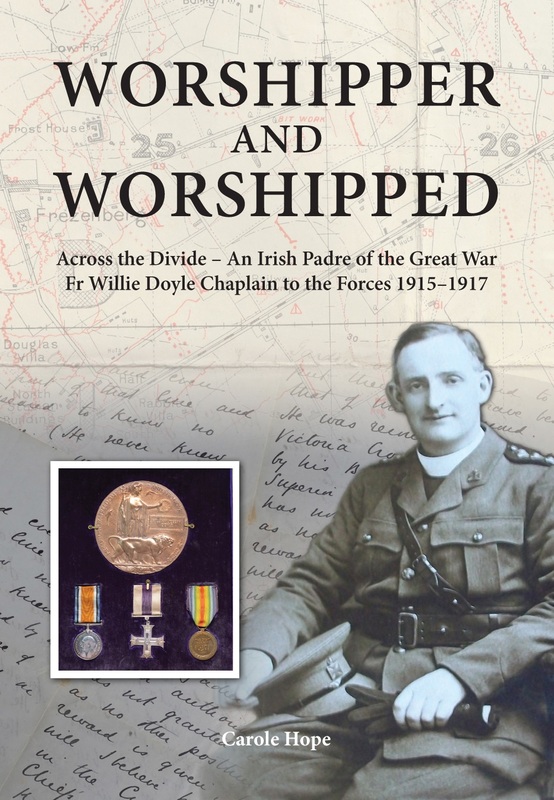 He was especially struck, he said, by the fact that most of them had marched a long way (some nearly ten kilometres) to attend, and he asked those of his flock who were present to learn a lesson from the grand spirit and deep faith of the Irish soldiers. The ceremony concluded by a march past, with bands playing, in front of the Episcopal Palace. The Bishop stood on the steps of his house, beaming as he replied to the eyes right of each company as it passed him. 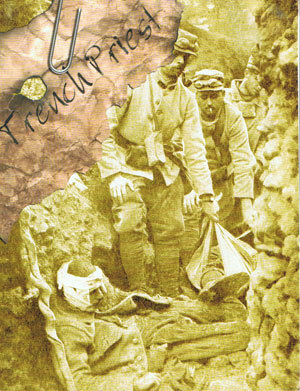 Once when Dr. Buchanan was unwell and there were no blankets to lie upon in the damp dug-out, Fr. Doyle lay flat, face downwards, on the ground, and made the doctor lie upon him. I love the solemness of the mass-the honor guard at “present arms” and bugle at the consecration. sometimes running an app on the big screen is nothing short of magical. The actual pc is usually Wi-Fi enabled and can connect to web anywhere. to thіѕ brilliant blog! I suppose for now i’ll settle fοr book-marking and adding your RSS feed tⲟ my Google account.